By simple definition, area rugs which were produced in Asia (the “Orient”) are classified as “Oriental rugs”. This term “Oriental” can also refer to the specific types of rug patterns as well. These beautiful patterns vary tremendously and can be floral, geometric, refined and intricate or open and large scale. What are the uses for antique Oriental rugs? Antique oriental rugs have many uses. They can be used to cover an unpleasant looking floor, to define a space or to set boundaries in a room. They can be a focus, or bring a room together. 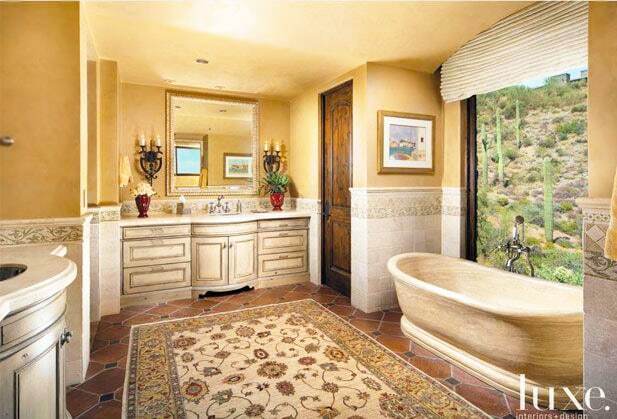 The presence of a rug from the Orient in a room can be a statement in itself. A rug is much like a piece of art on the wall. The choice to own a unique antique oriental rug with a particular design, or weave says much about a person’s lifestyle, and sense of design. These rugs can be used to warm up a room. They can totally change the mood of a room. Whatever your reason to place a particular rug in a room, you are creating your own unique environment for you to enjoy. 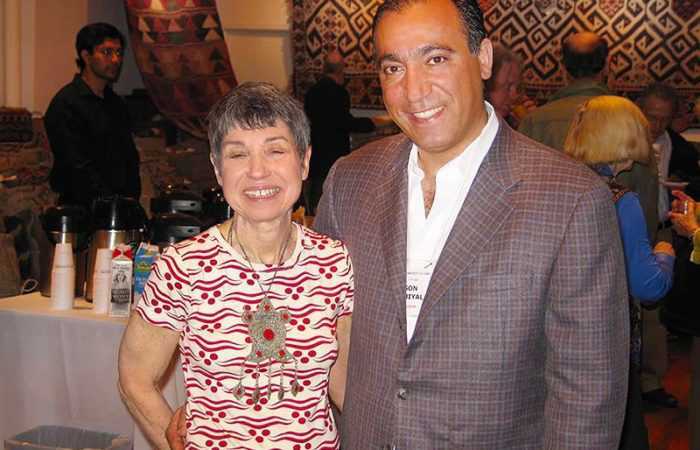 For much of the twentieth century, the interest in antique Oriental rugs has been evolving. Buyers have begun to focus on the concept that an antique rug can be standard of excellence, and there are certainly good reasons for this. The influence of western dye and machine spinning technologies, along with the enormous new demand for antique oriental rugs that developed from the late nineteenth century onward, all contributed to a rapid decrease in quality in terms of the materials, the weave, and the designs. By the nineteen thirties it was easy to tell the difference between rugs made up to about World War One, and those made after. 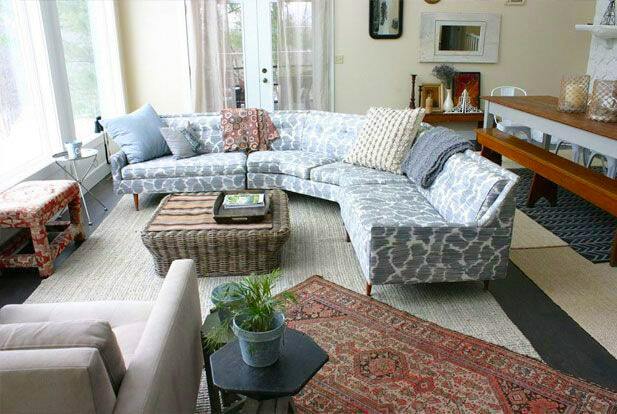 A finished rug can be used either as a floor covering, or as a decorative piece. 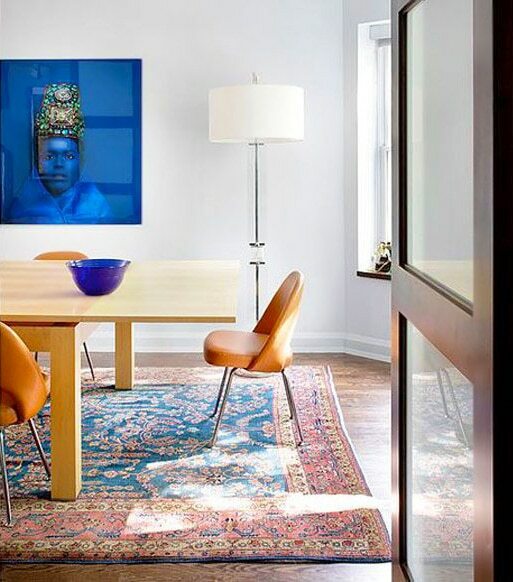 Antique Oriental rugs are often used as beautiful wall hangings, bringing color into a blank space, or even as drapes for doors. Antique carpets are sometimes hung, so as to protect them from future damage. Regardless of price, a great antique oriental rug is a wonderful work of art in addition to being a decorative and functional accent. What are antique Oriental carpets? An antique Oriental rug is one that would be classified by the region where it was woven – Asia. This would include countries like Persia, Indi, China and so forth. Rugs such as these are commonly made in “Eastern” styles that were made popular by Islam’s cultural golden age. Echoing depictions of nature and the weavers surroundings for more stylized patterns and representations. Because antique Oriental rug is made by hand, no two carpets are exactly alike. 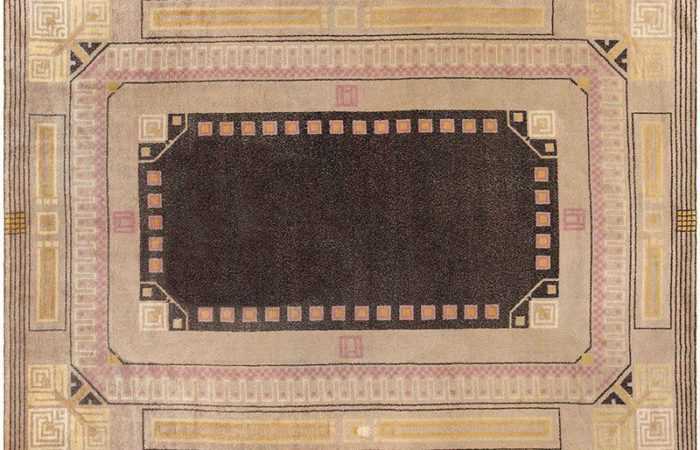 Features such as abrashes (color shifts present in the rug due to changes in the dye lots) can distinguish two otherwise seemingly identical carpets. While these traits can be replicated to some degree in modern or machine-made rugs, they can never achieve the same patina and charm as an original. 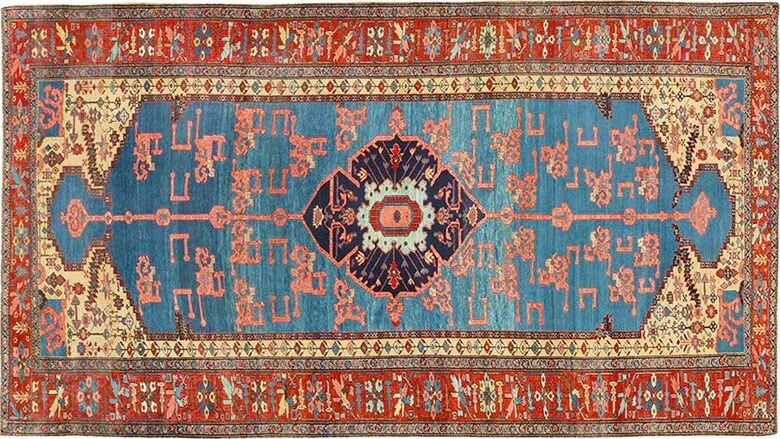 When it comes to shopping for Oriental rugs online, buyers don’t only want access to the largest selection of pieces; they would like to choose their favorite from the best collection of rugs from the Far East. Oriental rugs represent an outstanding variety of artistic creations from China, India, Tibet, Mongolia and East Turkestan. There are traditional Ningxia rugs with fretwork embellishments, super saturated Chinese art deco rugs, symbolic dragon rugs and Oriental carpets that feature abstract patterns and baroque designs from Europe. Because Oriental rugs are so diverse, they can complement many interior styles. Rug aficionados and new collectors will be delighted by the selection of fine Oriental rugs available today. When did antique Oriental rugs become popular? For hundreds of years, antique Oriental rugs have been a staple of class and culture. They became popular in Europe and the East thanks to the Silk Road. Items from as far as China spread to the West through the hands of Asian and Islamic traders and they quickly developed into cultural centerpieces. Aristocrats throughout Europe (such as Henry VIII and the 17th century Polish royalty) are known to have been big rug collectors. The history of these beautiful pieces in Europe is well documented in writing records as well as other artistic relics like the paintings of Hans Holbein. 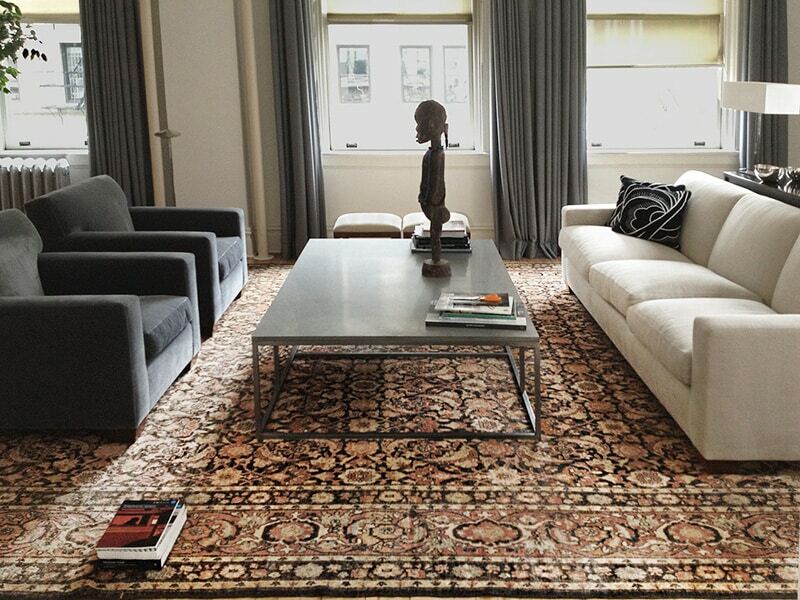 In modern times, antique Oriental rugs are still collected and used for their decorative and investment significance. Are there people who collect antique Oriental rugs that are antique? One of the most famous collectors of modern times is Sigmund Freud. Freud is known to have draped smaller antique Oriental rugs on his couch at all times. Interior designers and architects frequently use antique Oriental rugs for modern spaces. The aged dyes of these weaving’s are unmatched and blend seamlessly with modern decor. Rugs are typically the first design element to be picked when decorating. They are, be default, a keystone for the space’s decorative schema. These pieces are not simply meant for beautification. Since good pieces retain their value over time they are considered investments as well. 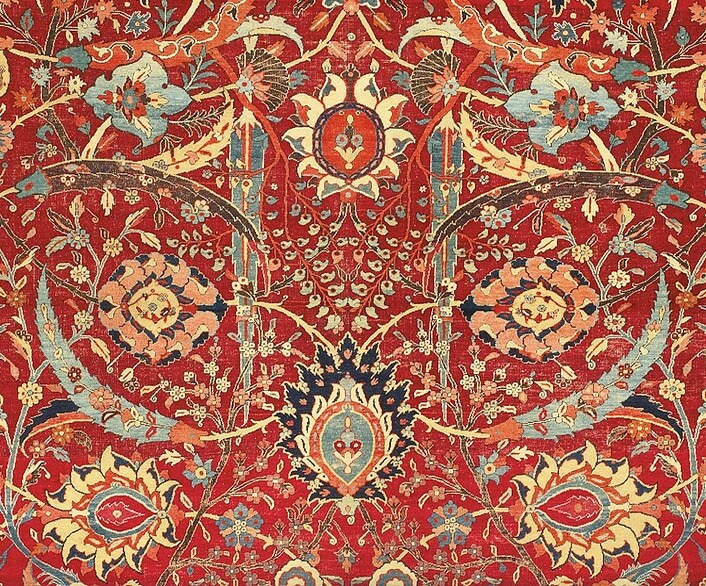 In a recent auction at Sotheby’s NYC auction, an antique rug broke all previous records for any textile sold at auction bringing nearly $34 million. These rugs comprise as artistic essence that is much more complex than simply being from Asia. Spanning hundreds of years these pieces have been used for both practical floor and decorative wall hangings. Their intrinsic value makes them ideal investments and their rich history give them a ton of collectible appeal. What does it mean when a rug is called an “Antique Oriental Rug”? Rugs that are Oriental are part of a broad international classification that includes a diverse set of distinct carpet-weaving traditions in China, Mongolia, East Turkestan, Persia, India and other regions. While the antique Oriental rug designation is an umbrella term that includes a tremendous variety of regional designs, it primarily focuses on carpets produced in the Far East. Like rugs produced in Europe, Persia and the Caucasus, rugs from the Orient feature medallions, spandrels, intricate repeating patterns and stylized botanical motifs. However, these constants are depicted in a distinctly Eastern style. Political and economic empires in China had a far-reaching presence. They absorbed influences from Persia and the Asian Steppe while also influencing culture and design traditions in East Turkestan, Mongolia and Tibet. The Chinese vintage rugs encompass a tremendous range of styles that are linked by a common thread. Rugs produced in Mongolia and Tibet often feature intense fretwork borders and endlessly repeating patterns that are combined with Buddhist symbols. These antique Oriental rugs that depict animals, flowers and natural motifs take on secondary meanings although they may appear entirely profane. Oriental rugs frequently use symbolic motifs that represent tangible and intangible things and concepts. For example, antique Chinese dragon rugs with their stylized decorations bridge a gap between myth and reality. Although rugs from the Orient often feature stylized motifs, they are much more true to the natural world than some abstractions used by distant tribal groups. Antique carpets from Khotan often depict clouds, sunrays, pomegranate fruits and stylized shrubs. Khotan Rugs produce a symbolic picture while weavers in Tibet may use flowers, animals and fur-like prints to represent spiritual concepts. Even in China, many art Deco carpets were produced exclusively for their aesthetic beauty and appeal to Western consumers. Art Deco rugs favor naturalistic compositions that embody minimalist principles. Later rugs combine traditional Oriental motifs with rich, over-saturated colors and experimental Art Deco patterns. Although antique Oriental rugs are part of a very unique and original aesthetic tradition, carpet producers in the region have also been influenced by faraway styles. 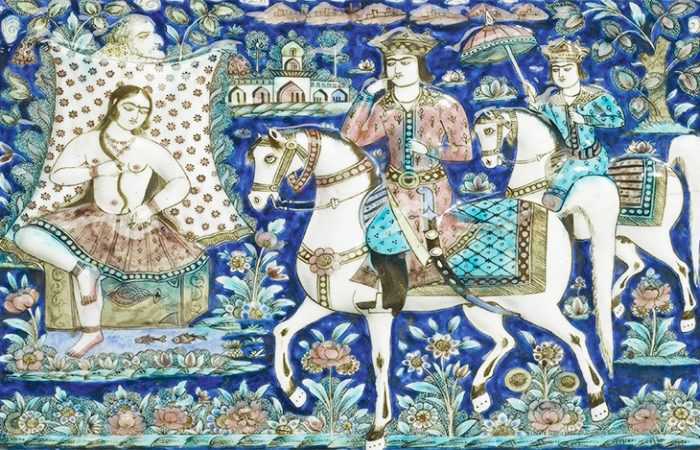 This includes reproductions of European designs and the assimilation of Persian patterns in parts of East Turkestan. Rugs from the Orient have left an important legacy that has affected historic and modern design trends. Browse through our collection to find the ideal Oriental rug. What is an antique Oriental rug? Good rugs are handmade. They are created by tying many knots in different colors, creating a pattern, or by weaving the rug to create the fabric and pattern. After a size and pattern has been established by the rug designer, a group of people will often sit together to knot or weave, making the work go faster. The art of rug weaving is both a valued traditional art and an important social event. Antique Oriental rugs are only those that are made in Asian countries. These countries include China and India, as would be expected. However, Asian rugs are also created in Asian countries such as Tibet, Mongolia, Iraq, Iran, Turkey and the Caucasus, (which includes countries such as Armenia and Azerbaijan). Any rugs made in these areas are considered to be “Oriental”. 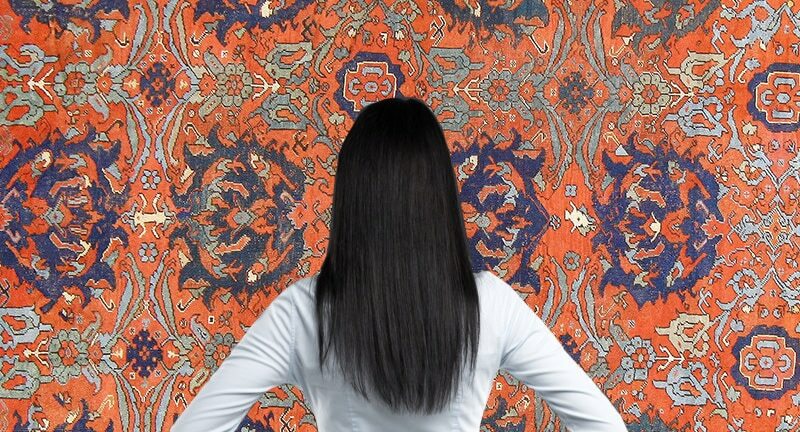 In order for an Oriental carpet to be considered an antique, however, it needs to be at least eighty years old. Those that have not yet reached the eighty year mark are considered to be semi-antique or simply vintage rugs. In addition, most serious collectors also factor in quality, condition, colors and pattern aside from just age, when considering whether a rug is a collector’s piece or not. Truly great antique rugs are both old and artistically significant. Rugs that are mass produced or made with machines, for example, are not considered to be good examples. Some of the most well known rugs that would be considered “Oriental” are the famous Persian rugs. These are some of the oldest and finest rugs in the world. The tradition of Persian rug making has been passed down through the generations, so that fine handmade carpets are still being produced in modern times. The art of rug making, however, dates back to about 500 B.C. This is when the oldest surviving rug dates from. It is called the Pazyryk carpet, and demonstrates the way the Persians use color and geometrical patterns in their rug making. Aside from Persian rugs, antique Oriental rugs can be grouped into several other categories, each referring to a region. 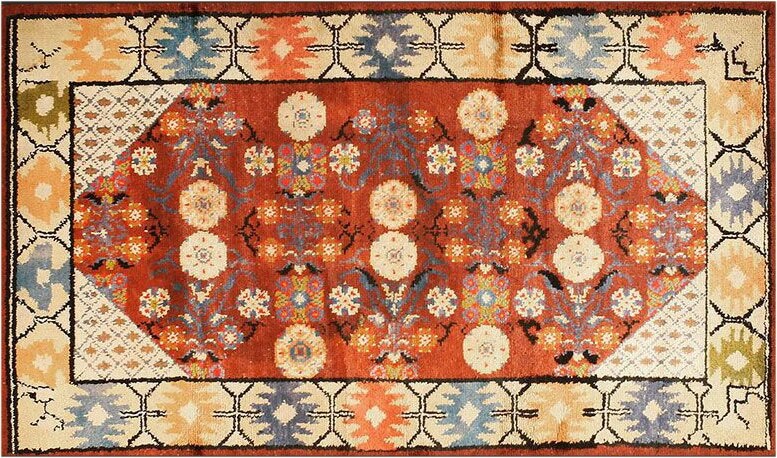 Today, rug collectors recognize rugs as either Persian, Chinese, Indian, Tibetan, Kurdish, Middle Eastern, Caucasian, Turkish, Central Asian or Turkestanian. Each area has a specific way it designs its rugs, and a specific weaving or knotting technique. In addition, colors and patterns vary from region to region, depending on what is considered to be traditional. There are also many similarities between rugs of different regions, however, as they all share a common art. What is the definition of an antique Oriental rug that is “antique”? By definition, antique Oriental rugs are more than 80 years old while vintage rugs refers to the decorative oriental and modernist rugs that were made during mid-century (20th century) – such as the mid-century modern Scandinavian rugs and Moroccan rugs. However, many other features set these pieces apart from their newly created counterparts. On the surface, new modern carpets may resemble their “antique oriental cousins”, but the similarities stop there. The quality and construction of antique oriental carpets and carpets are two of the great differentiation between those created then and now. These differences affect the overall look and feel on a broad level through small and large changes in the dyeing, spinning and weaving process. The difference between new and antique oriental carpets goes down to the fiber used to produce these masterpieces from the past. Using millennial-old processes, world created iconic antique rugs that would stand the test of time and add to their international legacy. How were antique Oriental rugs made? With natural dyes, ancient techniques and countless hours of tedious work, these weavers creating long-lasting works of art that acquire a gentle patina and luster with age that contributes to their characteristic charm. With the advent of modern technology and chemical dyes, patterns were watered-down for mass-production and regional traditions that were millennia in development were changed forever in little more than a century. Antique Oriental rugs in general (not only antique Persian Rugs) include hundreds of patterns and cultural symbols that are combined with construction techniques accentuate the unique regional qualities. Despite modern advances and high-tech manufacturing processes, the gestalt of antique oriental rugs produced by master weavers in the city, artisan craftspeople in independent villages and tribal individuals is incomparable. Antique oriental rugs were created using bygone methods and traditions that held a deep significance to the people who wove them. to the people who wove them. Many of these rugs and carpets are filled with symbolic figures and motifs that have been used within a culture for thousands of years. Do the symbols in antique Oriental rugs have meaning? To a semi-nomadic tribal group, universal and region-specific symbols such as water, animals, birds, people and amulets were vital to protect their family and resources. Often created for specific purposes, antique oriental rugs and carpets from Persia, Turkey, India, Europe, the Caucasus, China and Tibet and so many other regions were produced by craftspeople who put their heart and soul into every step of the process. Over the centuries, the weaving of an oriental rug has evolved from a cultural craft into a livelihood and an art form that captures many diverse traditions. The craftspeople and master weavers who created these antiquities used exacting precision to executive intricate patterns that today’s high-technology advances are unable to replicate. The quality of the wool, fiber and dyes has changed drastically over the centuries as the labor-intensive processes were traded in for time-saving alternatives. Natural dyes and pigments extracted from plants, minerals, insects and other substances contribute to the soft lustrous patina that new creations may never acquire. Hand-spun wool produced from local wool fortified with a unique mixture of minerals and metals enhances dye absorption and adds to the lustrous qualities and subtleties of regional oriental rugs such as those seen in the antique Persian rugs. Spinning, dyeing and weaving each represent labor-intensive tasks requiring specialized skills. In some cases, dyers made a living by supplying high-quality dyes to local weavers and craftspeople. Many of these natural dyes required sophisticated processes to extract and set the dyes while others, such as the golden-yellow dyes created from the stigma of the saffron flower, were created from some of the most valuable trade commodities at the time. Due to the limited number and increasing rarity, antique carpets and rugs make solid investment Rugs. For example, the best and rarest antique Persian and oriental carpets and rugs have maintain their value exceptionally well over the years where the value of a newer pieces depreciate rapidly. Are antique Oriental rugs more expensive than the newly made carpets? Although antique Oriental rugs make excellent investments, they can often be acquired without a significant increase in cost compared to the newly manufactured rugs in today’s markets. There is no question that rugs make outstanding decorative objects as well as investment pieces for serious collectors and / or buyers who wish to beautify, soften or complete an interior space while making a sound financial decision. The world of antique oriental rugs and Persian carpets presents endless possibilities; one region alone (such as antique Persian rugs) can produce an exceptional variety of patterns in many of classic colors. The aesthetic appeal of antique piece is only one of their alluring charms. One of the universal factors that attract collectors around the world is the craftsmanship and rich history of each pattern and motif embodies the romantic notions of an earlier time. What is the history of antique Oriental rugs? Antique Oriental rugs have always been synonymous with exotic luxury, elegant design, and a comfortable, highly aesthetic environment. From the earliest times, humans have needed to embellish and ornament the circumstances in which they lived, and the medium of woven carpets soon emerged to meet such requirements. Carpet production is attested from ancient times. Flat-woven floor coverings are probably as old as textiles and architecture. The oldest knotted pile carpets can be attested by the sixth century B.C., but their production may well be considerably older. Some experts believe that pile carpets originated among tent-dwelling nomadic peoples to the east of Central Asia as a more decorative substitute for animal hides, providing comfort and insulation as well as decoration. Carpet making reached the Near East through contact with such nomadic peoples. 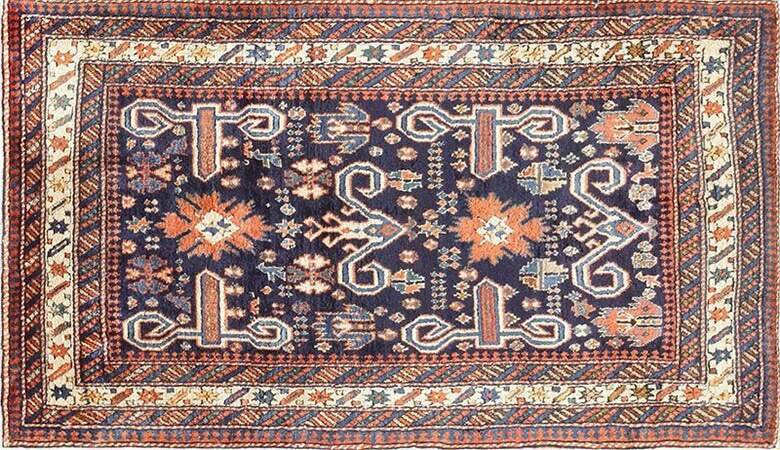 Since relations between Central Asian nomads and the Near East were more or less constant, the production of pile carpets in the latter region was probably stimulated and influenced by nomadic traditions again and again. This process first becomes clear in the medieval period, between the eleventh and the fourteenth centuries, when various Central and East Asian peoples like the Turks and Mongols came to power across the eastern Islamic world, bringing with them traditions of carpet making that were by now many centuries old. The earliest Near Eastern carpets of this kind are those of Seljuk Turkey and those made in Iran under the Mongol and Timurid dynasties. 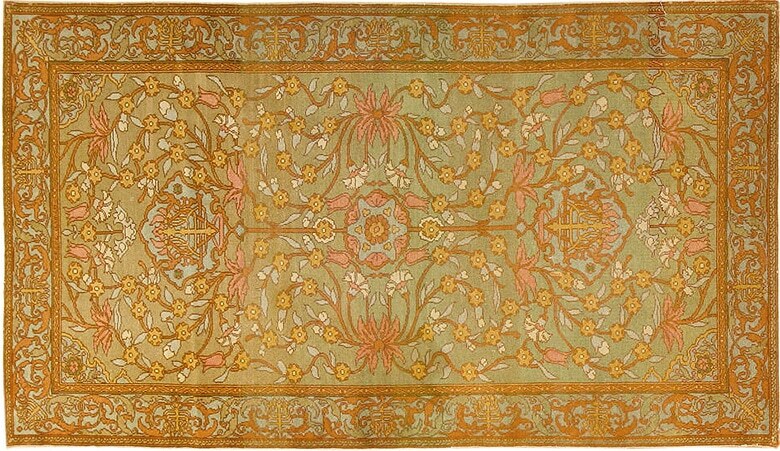 Carpets of this kind now began to have highly complex designs influenced by contemporary textiles, especially silks. From this period on, the knotted pile carpet became an increasingly standard feature of Islamic art and high culture, and soon it captured the attention of wealthy Europeans as well. Already by the thirteenth century merchant travelers like Marco Polo remarked on the beauty of the Oriental carpets they encountered on their journeys, and soon such carpets began to be imported into Venice and thence to the rest of Europe. While actual early carpets of this kind are rarely preserved, European painting by the great masters from Giotto and Ghirlandaio to Holbein, van Eyck, Lotto, and Vermeer constantly depict carpets from Turkey and Iran. Such paintings document the importance that the Oriental rug had attained by this time as a quintessential symbol of cosmopolitan taste and affluence. So valued were these carpets that there were various attempts to imitate or adapt them in Europe. After the seventeenth century Europeans briefly lost interest in the Oriental carpet. This probably reflected developments in the Near and Middle East, where all the great ruling dynasties collapsed or went into regression, bringing about a corresponding roll-back in the quantity and quality of carpet production. During this hiatus European carpet production was stepped up, creating the Aubusson and Savonnerie types in a Neo-Classical western style. Carpet production in Spain, which had begun under Muslim rule in the Middle Ages, also moved in to meet the European demand for rugs. In the second half of the nineteenth century, rug weaving in Iran went into a great period of revival under the highly retrospective Qajar dynasty, re-awakening the European interest for these rugs and creating a new American market for them as well. This eventually led to a revival or expansion of carpet production in Turkey and also a revival of Indian carpet weaving under British rule. At this time Chinese rugs whose production went back to ancient times, finally became known in quantity to European and American markets. From that time on the western world became used to an endless variety of rugs and carpets whose production continues into the present time. The most notable recent developments are the revival of vegetable dyes and hand-spinning of wool, which had largely died away in the course of the twentieth century. Such new productions capture much of the quality and original flavor of antique Oriental rugs. But only a genuine antique can preserve the soul and spirit of the weaving. These pieces are an art form that reaches back, virtually unbroken, to the earliest times. Antique carpets from the orient are not only objects of great beauty and rarity; they are a much-needed bridge to a bygone world of consummate skill and expressiveness that is vastly different from the mass-culture of modern western experience. Today, we think of decorative rugs primarily as a floor covering. Occasionally, they are used as a wall decoration. But, thousands of years ago, when the art of rug weaving was being perfected, dozens of practical uses were attributed to rugs and carpets. How are antique carpets that are referred to as “Oriental” used? The first famous use was as prayer rugs. A small three by five foot rug could be transported wherever the owner traveled. Many of the people inhabiting the ancient Middle-East were nomadic. Traveling constantly brought about a few other uses. Such examples are saddle rugs, emergency protection from the elements, communication and even as currency. Saddle rugs, for horses and camels today, are primarily used for padding the back of the animal so a saddle can be placed on top. For long nomadic trips through the desert, a rug can also be placed on top of the saddle or around the torso of the rider. Thick, rugs provide good protection from sandstorms and extreme temperatures. How were antique Oriental rugs used as vehicles for communication? It is believed that families separated by large geographic distances sent messages to each other via rugs and carpets. In addition, important events, people and histories have been recorded with pictorial detail. These skilled rug and carpet weavers have drawn descriptive stories into rugs like paintings. There is no doubt that this is an art form. Finally, these textiles were used for barter and currency. Many of the masses during that period, considered their rugs the most valuable material items they possessed. Rugs represent a standard of quality and craftsmanship whereby a definitive value can be determined and compared to others. Therefore, we can see that our perception of what these ornate textiles can be used for is narrow. The people who first started making and using them, thousands of years ago, were more imaginative. At least in terms of finding practical applications for them. What is the difference between Machine Made Rugs Vs. Hand Made Antique Oriental Rugs? What are the differences between hand made antique Oriental rugs and modern machine made rugs? Well, the first major difference is value. And when we say value, we mean how valuable a rug is. Now, there are several factors to keep in mind when determining the value of a rug, the depths of which we will not dive into here (you can find that information on our antique rug buyers guide). Although, one of the main factors is naturally how it is made. Of course, modern machine made rugs with oriental motifs are almost never as valuable as an antique. Although, new rugs can appreciate greatly if they are owned, signed or designed by someone famous. Some of the modern artists like Andy Warhol, have had rug lines produced using some of their most famous works. The main difference between these two types of rugs is the actual manner of construction. Machine made rugs consist of plastic derived fibers being glued onto a strong plastic base. Which makes them initially very durable, but over time the adhesive degrades and the fibers detach easily from the base. There is a common misconception that handmade antique Oriental rugs are delicate and not durable. Their ornate designs and soft feel often deceive many. This art form is the accumulation of several thousand years of trial and error. It is a skill which has been perfected. The “hand weaver” creates several dozen knots per square inch of strong wool , cotton or silk fibers. This creates a true marriage of form and function by creating symmetrical designs pleasing to the eye while maintaining durability and usefulness. So, we can see that while both types of rugs have major differences, they have made their separate places within our individual homes and culture in general. How diverse are the styles of antique Oriental rugs? How diverse is the world of antique Oriental rugs? Well there are literally hundreds of different styles, each with their own characteristic. The world of rugs is much larger than most assume. If you consider that people have been weaving rugs as far back as the ancient Egyptians, then you can start to comprehend how diverse the styles have evolved over the last three thousand or so years. Also, note that evidence of ancient rug weaving has been found on every major continent. Although this array of styles has many similarities, let’s take a look at a few things that make them unique from each other. If we simply examine the wide variety of styles that have been created from two of the major rug producing regions, Persian and India, then I am sure you will get a feel of the diversity. Who produced most of the antique Oriental rugs? The commonly accepted center of the rug universe is Persia, or modern-day Iran. Their styles represent the best features of almost every possible characteristic. From excellent construction to intricately beautiful designs. Dozens of styles have been born in this region. As we can see, the rug styles that Persia has produced alone can fill a book. From symmetrical designs to abstract, vivid to subdued, geometric to floral, pictorial to decorative these rugs are truly an art form produced by skilled artisans. Were antique Oriental rugs produced in India? Antique oriental rugs from India are most notable known for their vibrant colors. The Indians produced some of the best natural color dyes from the wide selection of flora that was available to them. Many rug styles from India can also be recognized by the frequent use of animals and outdoor scenes. Decoration with Antique Oriental Carpets – We all know the famous Big Lebowski quote about the ill-fated rug that “really tied the room together”. 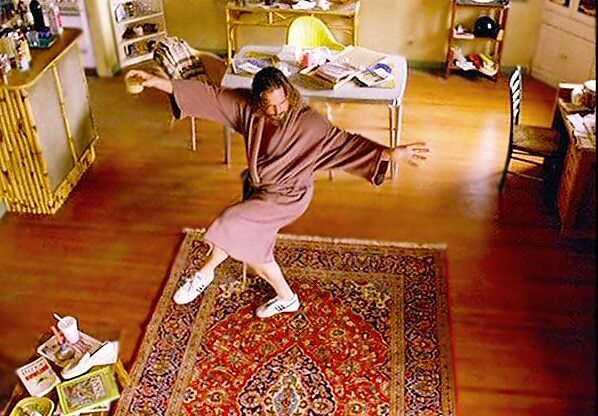 Though the movie is comedic, the quote rings true: A beautiful and well-made oriental rug can do wonders to bring together disparate design elements in a space. The right rug or carpet has the ability to add texture, a complementary dose of color, and a sense of elegance to a space. The right carpet also grounds a room: It gives the space a new point of focus and makes furniture and room accessories really stand out. 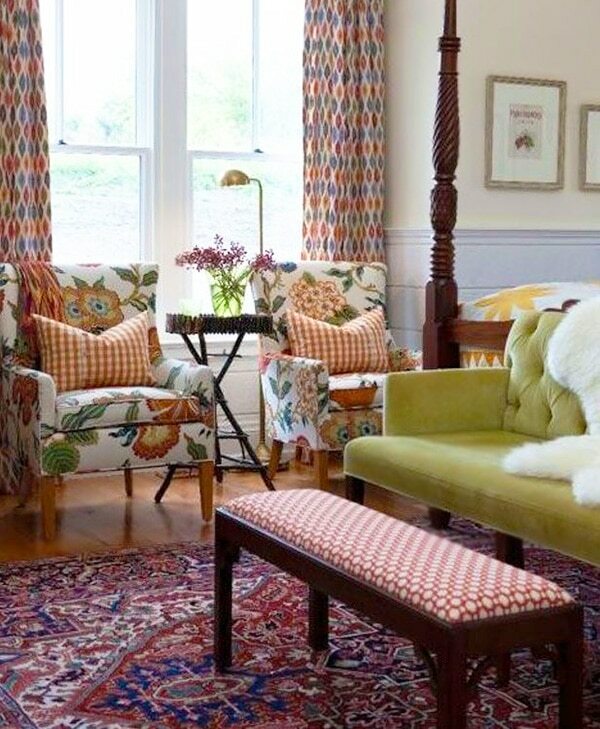 In this blog post, we’ll take a glimpse at several gorgeous interior designs that utilize antique carpets to accomplish a finished, cohesive look, as well as suggest pieces from the Nazmiyal Collection that can give your home the same sense of polish. This neutral living room is a great example of how sticking to a strict color palette can lend a sense of tranquility to a room. Because the carpet is woven in the same color family as the furniture, walls, and accents, the elements don’t have to compete together, but rather work in harmony, each reinforcing the rest. 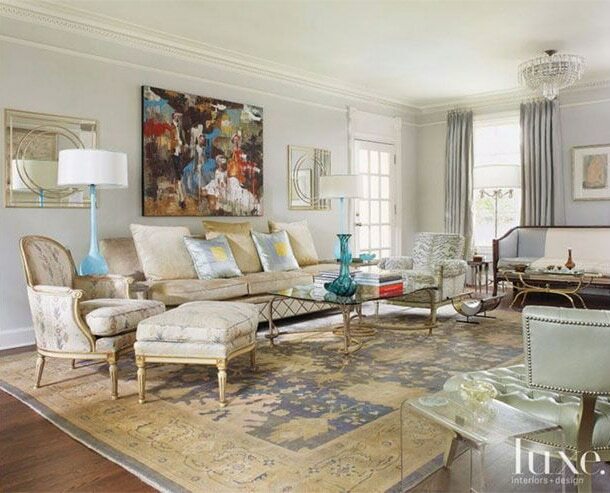 Choosing a rug composed in light colors keeps the room feeling airy and bright, and the large scale of the rug’s pattern gives the eye plenty of room to rest. If you’re dealing with a large space with large amounts of tile, stone, or otherwise “cold” materials, adding an oriental rug can warm up the room and make it seem cozier and more inviting. Sticking to a palette of warm rusts and golds, and adding as many natural elements as possible gives the room a subtle rustic flavor. Contrary to popular belief, you don’t have to choose between traditional and contemporary design when decorating your home. If you bring in elements of both styles in similar colors, the room will feel fresh, modern, and cohesive. Keeping an eye on color ensures that the classical and contemporary elements in the space reinforce and highlight, rather than undermine each other. Sometimes a space is an awkward shape or size, and it can be hard to find direction. Small scatter rugs are a great way to reinforce the flow of a room, and provide a sense of balance to an otherwise disproportionate space. Arranging your rug in a calculated manner helps guide inhabitants and guests, so the function of the room may be fully realized. Mixing patterns and textures is a balancing act, but a harmonious design can still be achieved when combining several designs. Changing up the scale of the pattern on your pieces helps to create a sense of intention, rather than looking hodge-podged or too busy.